A Leesburg woman who was one of a pair arrested following the discovery that methamphetamine was being received through the mail has pled guilty and is awaiting sentencing. 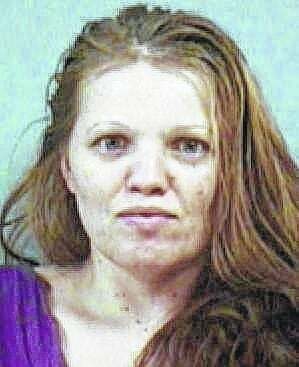 Susanna T. Manor, 29, pled guilty Monday in Highland County Common Pleas Court to aggravated possession of methamphetamine, a third-degree felony. According to the plea agreement filed with the court, the state and defense will jointly recommend community control and the STAR program when she is sentenced in August. As previously reported by The Times-Gazette, Susanna Manor, along with Clint A. Manor, 35, also of Leesburg, were arrested in April at the Leesburg Post Office following multiple tips to Leesburg police, and a subsequent investigation, that the pair had been receiving meth through the mail from a relative in Colorado. The Manors were indicted in May on charges of aggravated possession of methamphetamine and misdemeanor endangering children. According to court records, Clint Manor pled guilty to the possession charge last week and he is set for sentencing in August. As with Susanna Manor, the state and defense also will recommend community control and STAR, according to the plea agreement. In another hearing, Herman B. Quarles, 31, Lynchburg, pled guilty to illegal assembly or possession of chemicals for the manufacture of drugs, a third-degree felony. Quarles is set to be sentenced in August. According to the plea agreement, the state and defense will jointly recommend community control and treatment.